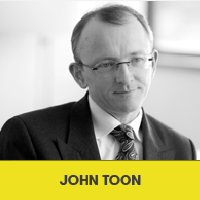 John is a solicitor and Chartered Tax Adviser. He heads the Tax team at an international law firm and has been based in Leeds throughout his career, now spanning more than 25 years in private practice. John completed the academic stage of his professional training at (a forerunner of) Leeds Beckett University, and, the son of two teachers, he has always had an active personal and professional interest in education and the organisations which deliver it. Married, with two adult offspring, John is also a Governor at Leeds City College.